Call-a-taxi is a private taxi which will take u ere ever u want to go at ur time. 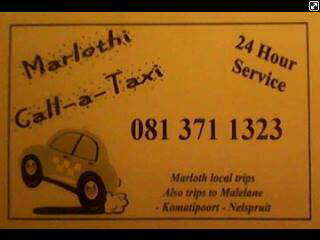 We do local trips in and around marloth park. We also do small pick up and delivery at ur request.